Quinoa along with the selected vegetables will support the Earth element and help the digestive system flow. Quinoa is a protein that can help you build energy and fight off fatigue. Add salt to boiling water and add quinoa. When water comes to a full boil, lower to a simmer. Let simmer until water is absorbed. Meanwhile is a separate bowl, add the sweet potatoes, peas, red peppers, and scallions. Add optional cranberries and chicken. 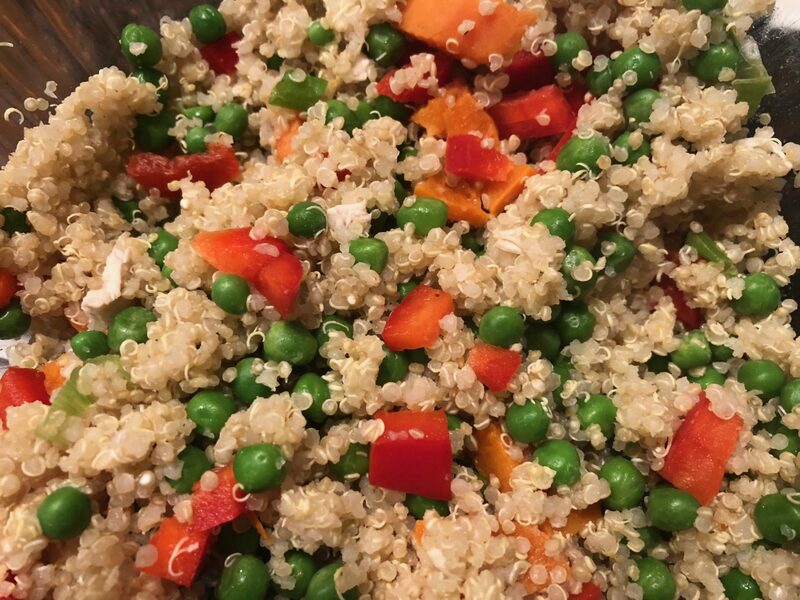 When Quinoa is fully cooked, add to vegetable mixture and gently mix. Pour butter over mixture, add cracked pepper and mix once again.